So, who’s responsible for taming wild words and presenting them in a straightforward format that’s engaging and educational? 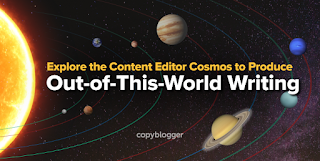 A content editor aids in the effortless comprehension of a writer’s message, and in today’s infographic, we’ll explore the content editor’s universe to discover key takeaways you can use the next time you review and refine a piece of writing. Make sure to scroll to the end of the post to get the code to share this beautiful infographic on your own site for free. We have a SlideShare presentation following the infographic that you can embed as well. Like this infographic? 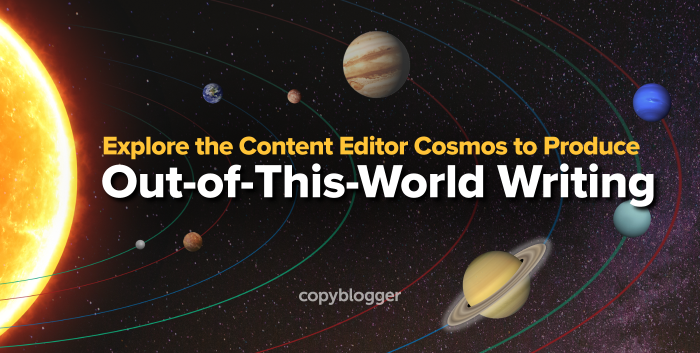 Get more from Copyblogger in our new, free WORD ebook that features our best advice for writers.